Our European designed tool holders are manufactured using only the finest materials, ensuring your products will last a lifetime. Bruns tool holders are renowned for their ingenious design and flexibility. The perfect storage solution for any application. Your satisfaction is our foremost concern. That’s why all of our products are backed by a full money back guarantee! Our storage solutions are perfect for sheds, garages, laundries, closets – virtually anywhere that space is a premium! The Bruns tool holder system will solve any storage problem you could possibly have allowing you to easily organise your messy tools and appliances, using only one hand. The unique Bruns tool holder firmly grips almost any tool or appliance from 0 to 50mm thick and a single tool holder can hold up to 10kgs in weight. The Bruns tool hook can easily hold ladders, garden hoses, electrical cables, even electrical appliances. A single hook can also hold up to 10kgs in weight. Tool holders and hooks can be easily attached to aluminium guide rails for a tidy solution that will look great in any room. 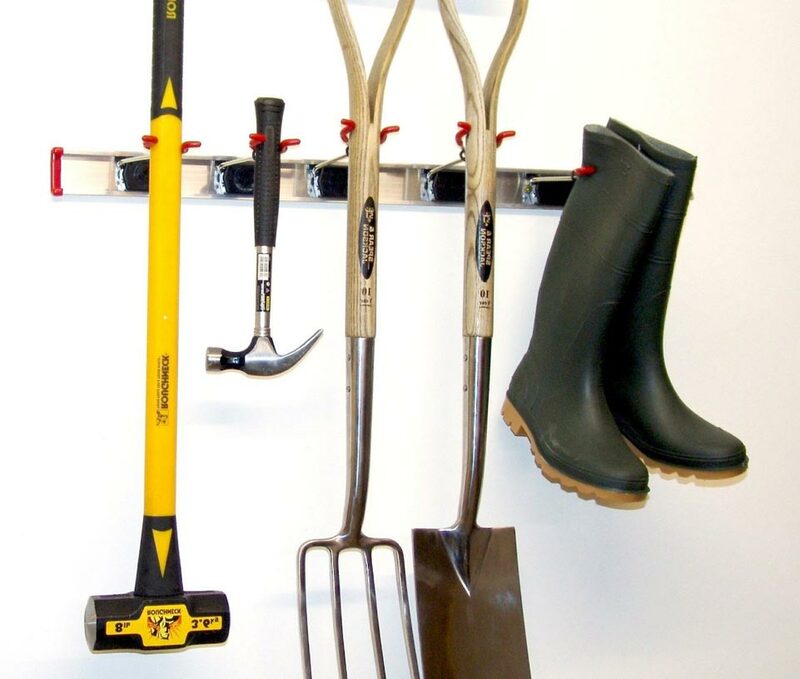 Bruns tool holders and hooks can be easily attached to guide rails – or fixed directly onto your walls – allowing you to keep all your tools and appliances tidy. The guide rails are adjustable so you can design your own system, adding further tool holders and hooks, providing a truly versatile storage solution for any application. Check out the following video animation to see just how simple the Bruns storage solution is. READY TO GET THINGS SORTED? Bruns Australasia provides Australia and New Zealand customers the opportunity to buy our storage solutions, storage ideas, tool hooks and tool holders directly online. You can also get bike racks, garage wall storage solutions, toolbox and more.